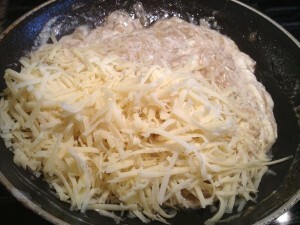 I was pleased when I finally found Gruyère Cheese at my local Costco! Their prices are great and I find that I spend almost the same amount of money on a large chunk of cheese as I would a small wedge at the local grocery store. I often purchase large packages of cheese, cut them and freeze some after sealing it in a vacuum pack. The only cheese that I’ve found that doesn’t freeze well is Cheddar because it sometimes crumbles. But if you are going to use it in something like home-made macaroni and cheese, it keeps just fine! 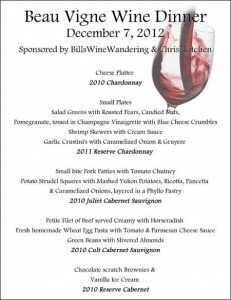 Bill and I were planning for an upcoming wine dinner. He had met Oscar at Beau Vigne some time ago in St. Helena in the heart of Napa. Bill immediately began planning for the December event. 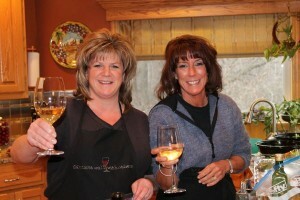 Oscar would come to our home to discuss and pour the wine and I would prepare the food to pair with the wines. 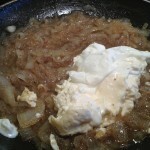 This appetizer dish was inspired by something I had eaten out at a local restaurant. Of course I didn’t know what was in their version of the dip, but I did a little looking on-line and came up with my own recipe. 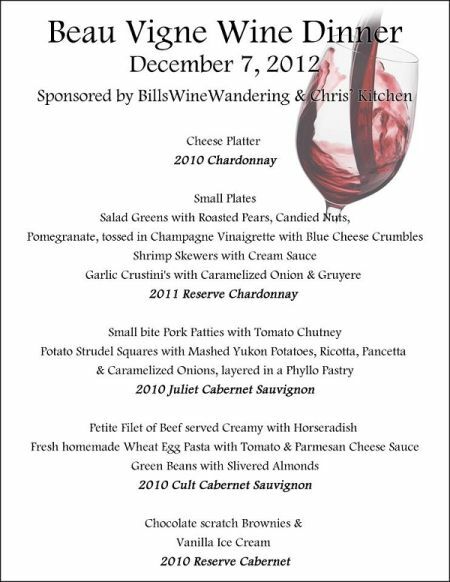 It paired wonderfully with the 2011 Reserve Chardonnay and our guests at the event let me know it was a hit! 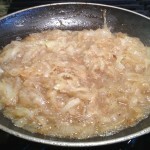 Saute the onions in butter over medium low heat until translucent. Add the brown sugar, salt & Pepper, wine and thyme. 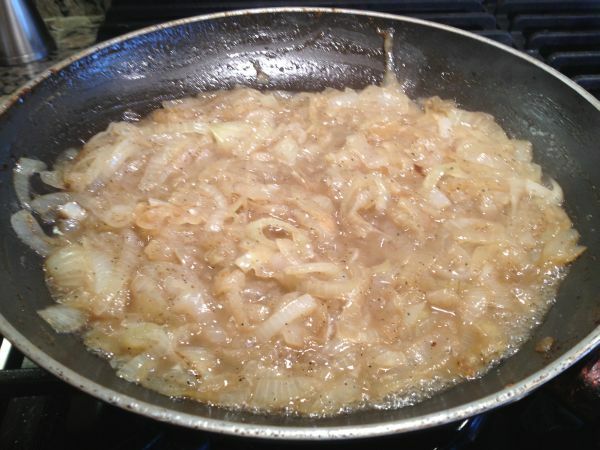 Cook until the wine is reduced by about half. 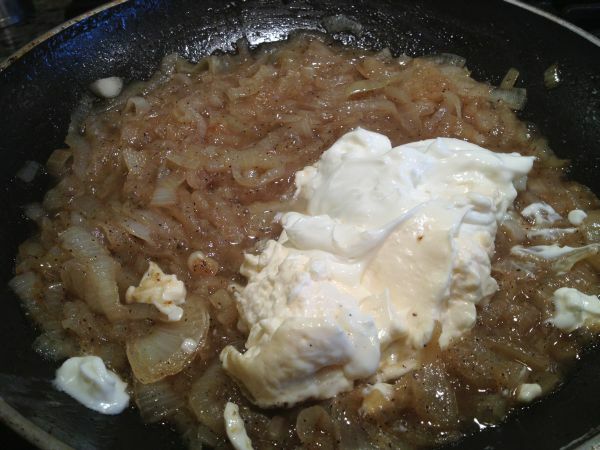 Mix onion mixture with sour cream, onions and shredded cheese. Place into an oven safe baking dish. Bake at 400 for at least 30 minutes until the cheese is browned and is bubbling! I transferred it into a heated crock pot and kept it hot until needed at the dinner. 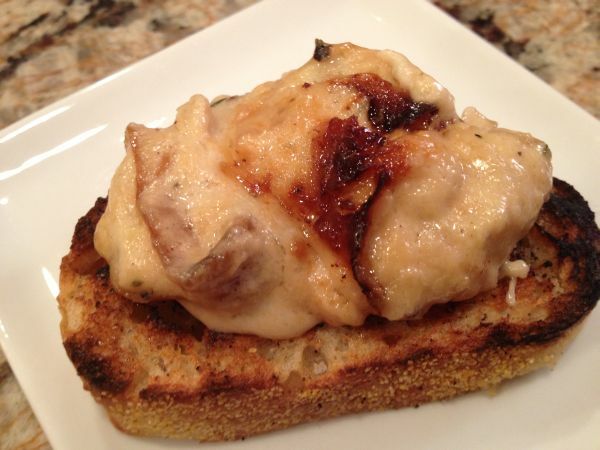 Serve on a toasted Crustini that has been drizzled with olive oil and rubbed with fresh garlic clove. I charred them on the grill for additional flavor and they were terrific!